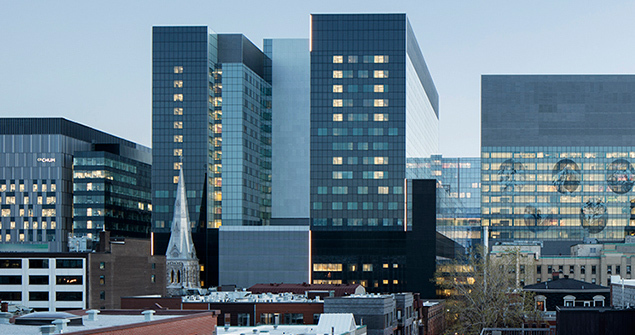 The University of Montreal Hospital Centre is considered the largest healthcare P3 in North America. The complex consists of a main 20-storey acute care block, with five levels underground. The upper floors house 775 beds in single rooms, and the lower floors contain diagnostic and treatment functions, including a large emergency department, 39 operating rooms, 7 MRIs and a full cancer centre with 12 bunkers. Distinct blocks house ambulatory care clinics, office space and logistics. Our scope included two large data centres and a large amphitheatre for conferences and meetings. The facility is targeting LEED® Silver certification. Angus Connect designed a fully convergent IP-based (Internet Protocol) security system and engineered the supporting IT infrastructure required for a large scale Cisco high availability, medical grade network. We designed an IP-based (Internet Protocol) integrated multimedia security system that includes several thousand IP-based cameras, intelligent card readers, and other security devices located in throughout the hospital. 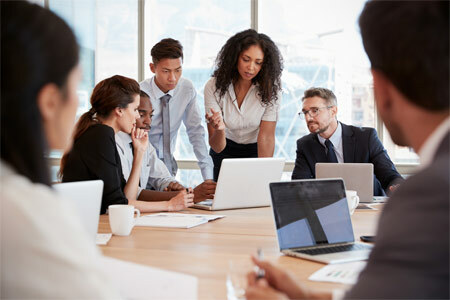 This system includes PoE (Power over Ethernet)-controlled architectural door hardware connected to Cisco’s high availability medical grade network. Separate segments of the security system are reserved for clinical observation, parking control, visitor management, patient wandering and duress applications. Multiple control facilities were provided across the Hospital, using multicasting over VLAN, configured on Cisco LAN. The security system was designed to support sophisticated client “use and workflow cases”, providing interoperability, SOA (Service Oriented Architecture) and SOI (Service Oriented Infrastructure). Angus Connect integrated all aspects of the security systems into a seamless and efficient operation, leveraging the most current technology wherever possible to improve efficiency, reliability and safety, thus simplifying information flow and access to users.